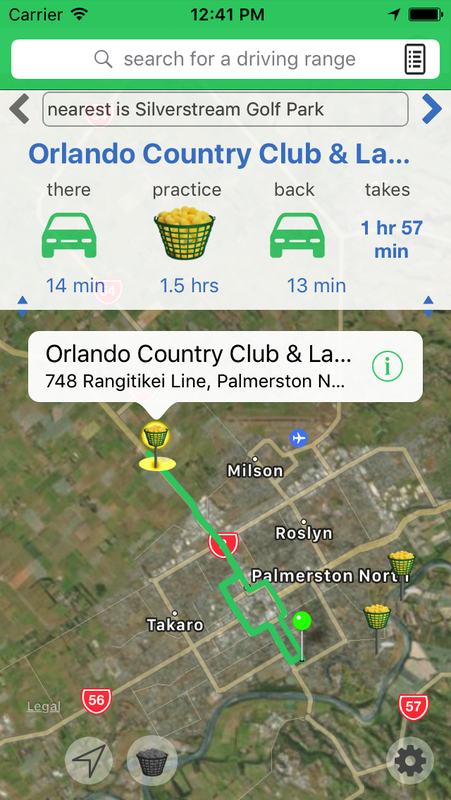 RangeNearMe finds your nearest driving range so you can try learn or practice golf! 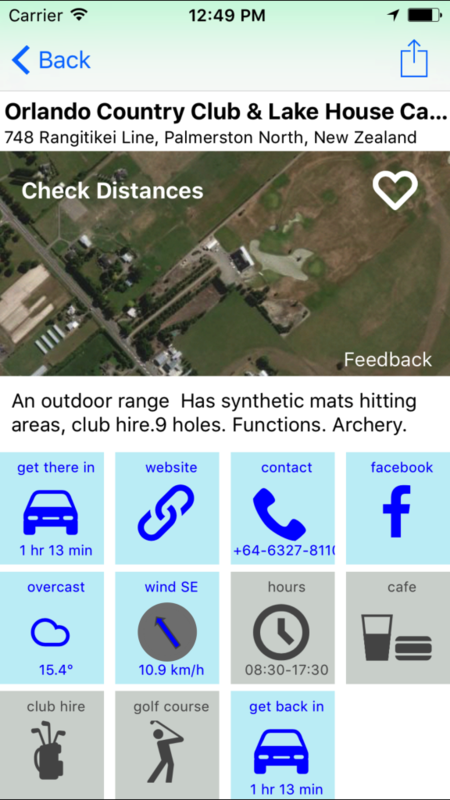 RangeNearMe finds the nearest driving range to you using your current location. 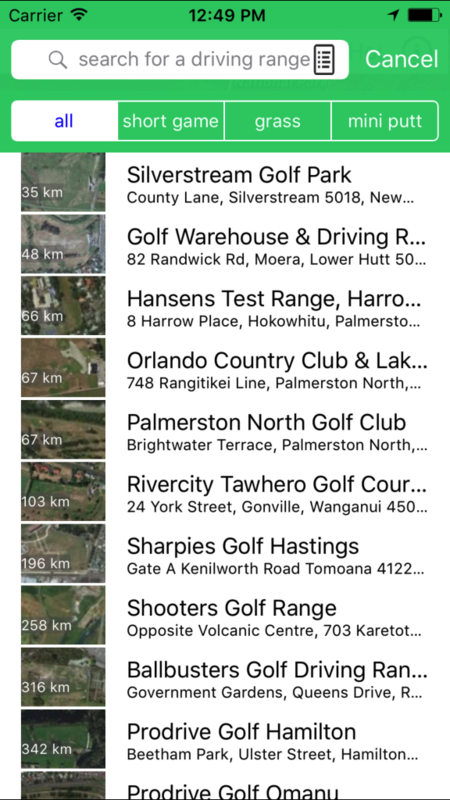 Or you can set it to find your favourite golf practice driving range, if the nearest one to you isn't your preferred location. Comprehensive free text search makes it easy to find what you're looking for. 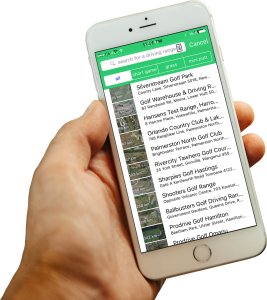 Browse the map, drop a pin to see what's nearby, search by name, locality or category - or scan the entire list of driving ranges available. You can search for somewhere new or different with specific features like short game facilities, grass tees, mini-putt or kids parties. 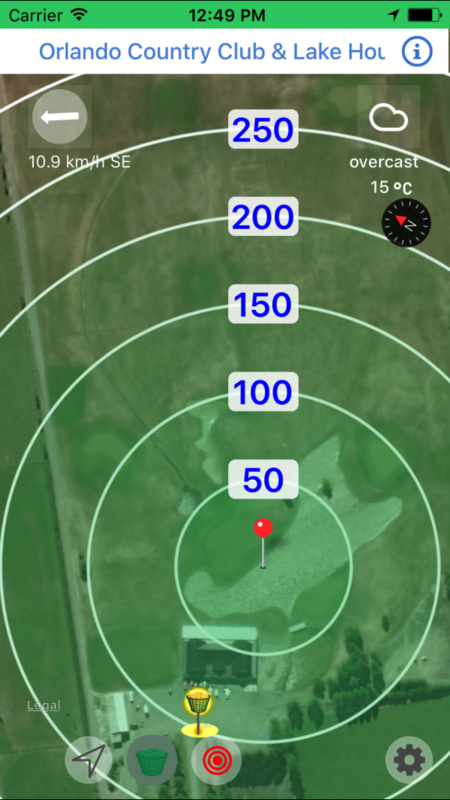 iGo2Range estimates travel times, shows routes and provides driving range directions to and from each facility. 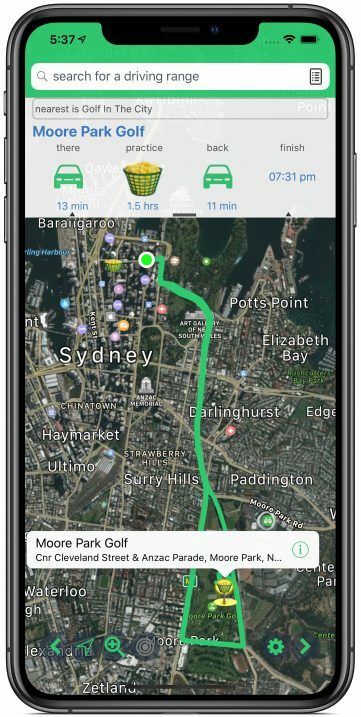 You can start from and return to your current location, a dropped pin, or an alternative location of your choice. Helps you plan and schedule your golf practice. Practice for half an hour, four hours or until sunset or closing time. It works out how long you need overall and provides an estimated finish time. Get up-to-date information about driving range facilities. Check if you can practice short game, keep the kids occupied with mini-putt, hire clubs, get a snack, or have a lesson. See what the weather is like there, browse their website or get contact details. Great app, does what it states it does. Helps me workout if I have time to go for a hit. Does everything I need and great for finding somewhere fun for golf practice with the kids on holiday. 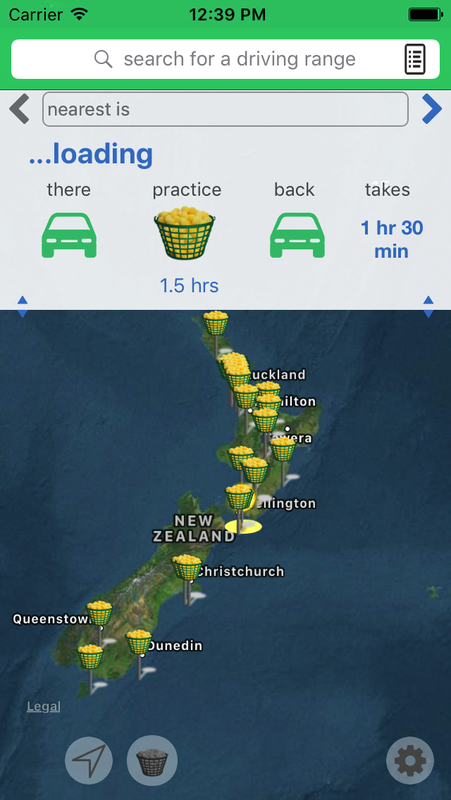 This app is cool, particularly the estimated driving time to and from the range.